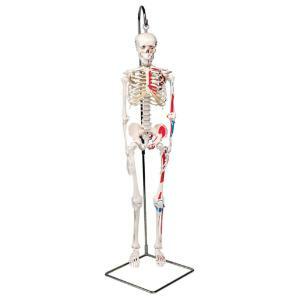 Top of the line mini human skeletons. 3B Scientific engineers have optimized the process of reproducing miniatures keeping all anatomical details and structures, even at half of natural size (80 cm). 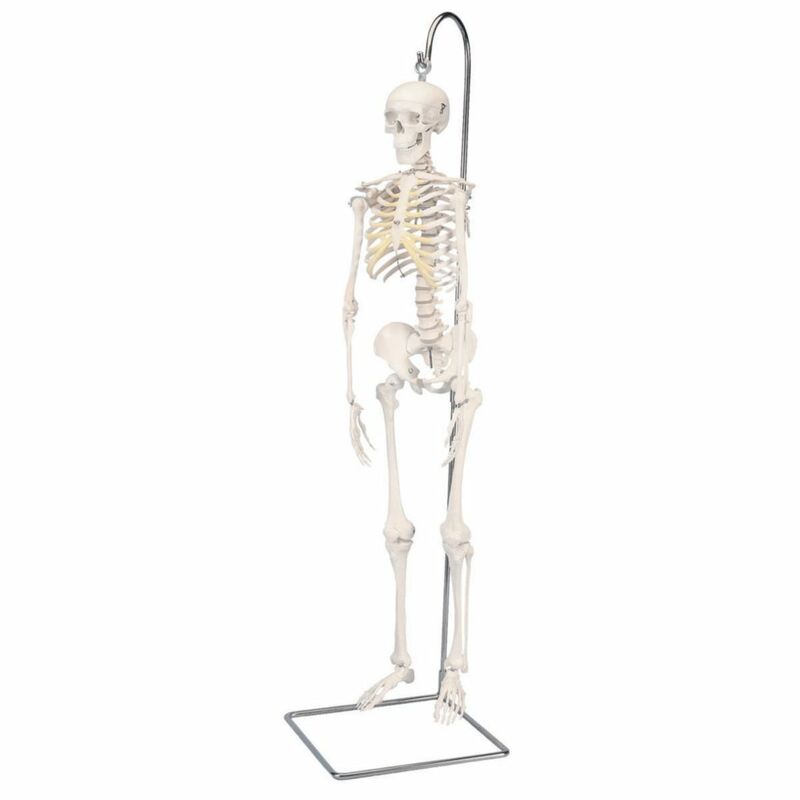 In both of these skeletons the skull can be removed and disassembled into 3-parts, the arms can be removed, and the hip joints can be rotated in a natural way. 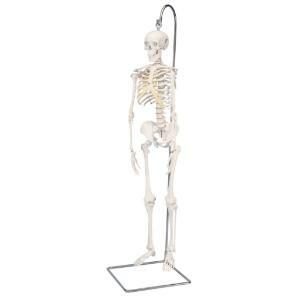 Both are supplied with a hanging stand that can be used on a table, or mounted to the wall. 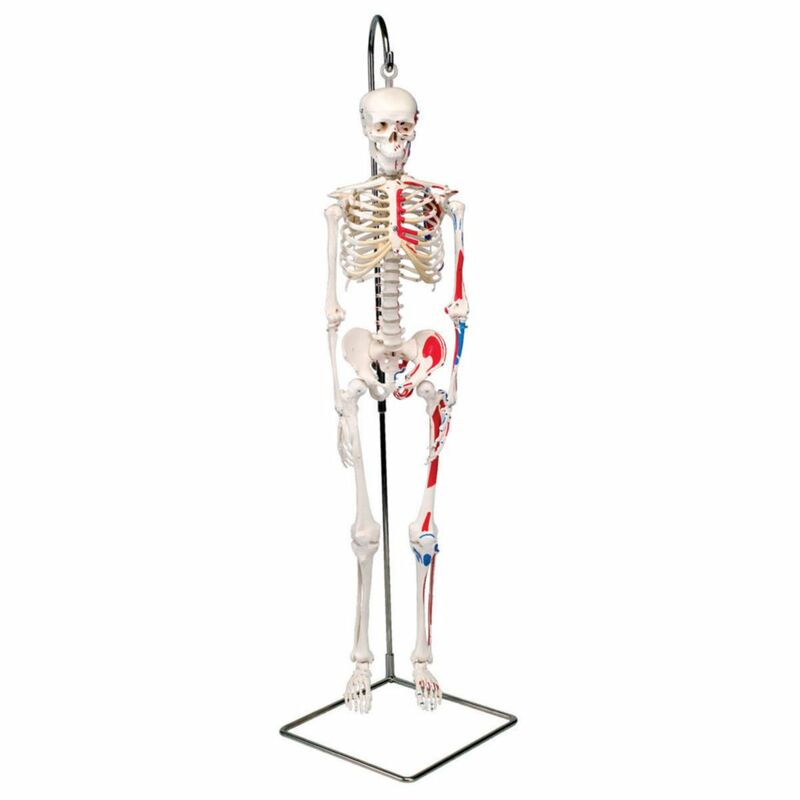 The painted version also includes muscle origins and insertions painted on the left side of the skeleton. Made from durable, unbreakable plastic, and hand assembled.